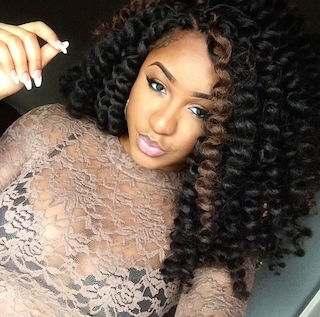 Have you noticed that more women are opting for crochet braids lately? 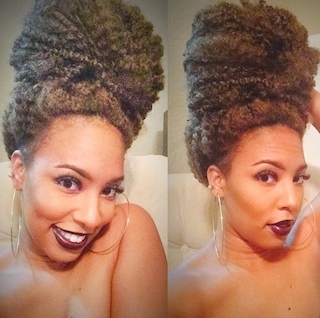 The reason being is that it’s a great protective style for your hair. What I love most about this style is that it’s really easy to maintain and you can achieve almost any look with it. 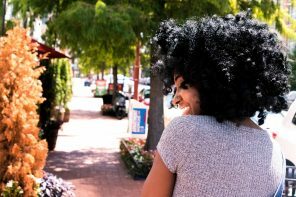 It’s also great for those who may be transitioning back to natural and don’t yet know how to style their natural hair. 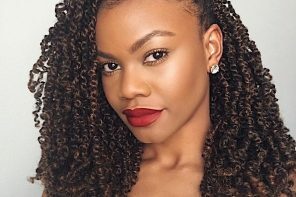 Check out TiffanyNicholsDesign’s YouTube tutorial above on step by step instructions on how to install Crochet Braids. 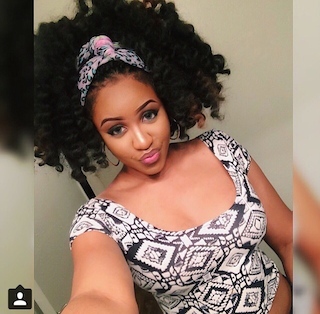 However, if you’re short of patience, you may opt for a natural hair stylist who can install them for you. 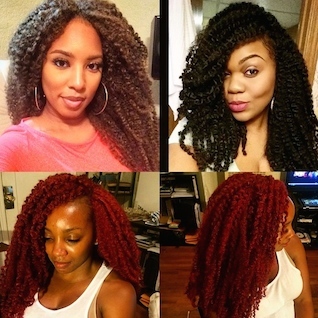 Here’s a look at the final result of TiffanyNicholsDesign’s crochet braids install with Marley Hair. 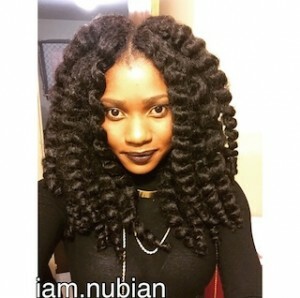 It’s really amazing how much this looks like a twist out done on natural hair. You can follow her tutorial, step by step here. 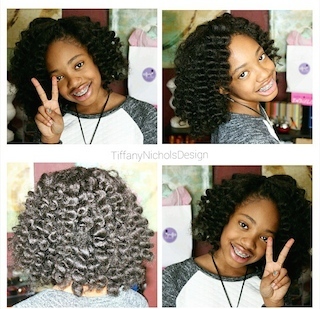 Tiffany also shows us that crochet braids are great hairstyles for kids! 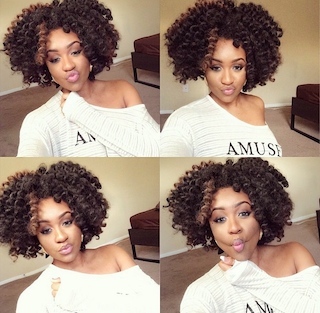 Look how cute her daughter looks rocking her crochet braids! Once they’re installed they’re a low maintenance style. 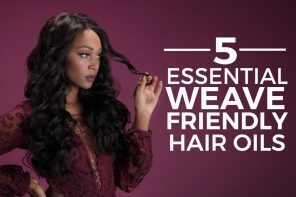 Another way you can rock crochet braids is with with a pop of color! Love this style on Erykah Kelechi (@Yo.Ervca)! She opted for longer curls and larger curls. Looks great on her. 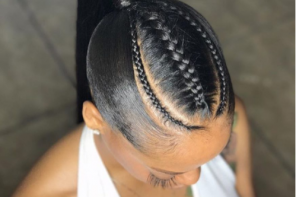 As I mentioned before, if you’re not really a DIY kind of girl, then you can find a hair stylist to install the braids for you. 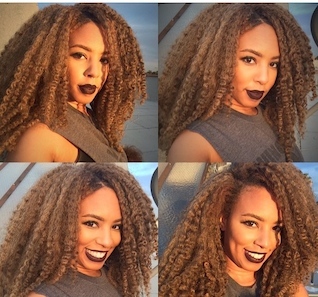 Los Angeles Hairstylist Kyra (@KyWill) knows how to install crochet braids and make them look natural. 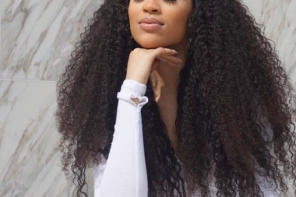 She even has her own brand of synthetic hair that she uses to install the hair– allowing for a different curl pattern. 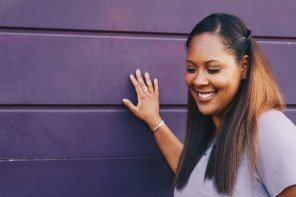 Los Angeles Hairstylist, @KyWill pictured here, has her own synthetic hair brand that she uses for installing crochet braids. 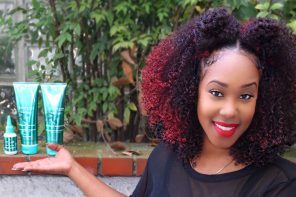 Los Angeles Hairstylist @KyWill has her own synthetic hair brand that she uses for installing crochet braids. 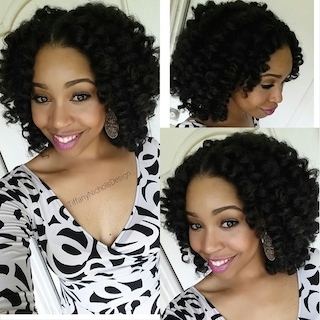 @KyWill shows us how versatile crochet braids are, by pinning them into a gorgeous bun. 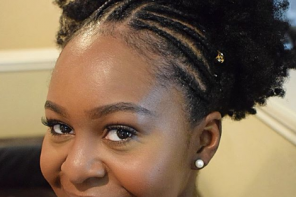 Mimi, known as @iamNubian on Instagram knows how to make crochet braids look natural, all while braiding all of your own hair up in the braids (no leave out). Look how natural it looks, I’m in awe! 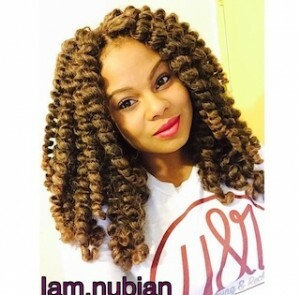 @IAM.NUBIAN is known for installing knotless crochet braids, that don’t require any of your natural hair being left out. 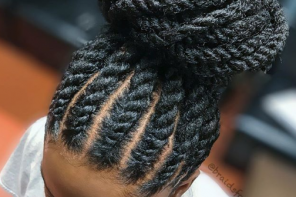 Stylist, @IAM.NUBIAN, shows off her installation of knotless or invisible knot crochet braids. 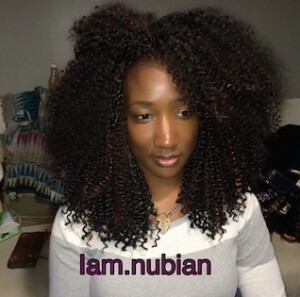 @IAM.NUBIAN also shows the install of a very curly hair texture, with invisible knots, which make it look more natural. Are you in love with this style as much as I am? What do you think? Also, if you’re looking for some of the tools/products mentioned above check them out in the Voice of Hair Shop, powered by Amazon. 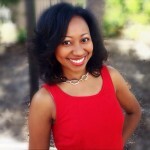 Shop with confidence and the security of Amazon.com when you shop on VoiceOfHair.com. Next articleNeed a Hair Makeover? Add Some Hair Color!